For the DDB Spring Market on June 8th, STARK hosted the opening keynote moderated by Sophie Donelson with Jamie Drake, Sarah DePalo, and me on the panel! It was a wonderful discussion with lots of insider tips of how interior designers build rapport with their clients, and make sure everyone is thrilled with the final outcome of the project. Check out the article on Go Design Go! and watch the coverage of the panel HERE! Last week my friend Jake Baer – CEO of Newel – and I hosted a kickoff to the summer cocktail party for our friends and colleagues! Jell-o Shots, delicious hors d’oeurvres and an epic photo booth were the highlights of the evening. Check out the article on Editor at Large about the festivities! Last week I delivered the keynote at Denver Design District’s Spring Market! In a presentation titled: “Knowledge is power when information is everywhere: Tools and strategies to connect with today’s tech-savvy Luxurians” I addressed how a designer’s in depth knowledge of the industry is their most useful tool when working with a client base that is increasingly comfortable with the widespread DIY culture, and endless free design resources available online. Check out this article on the event! 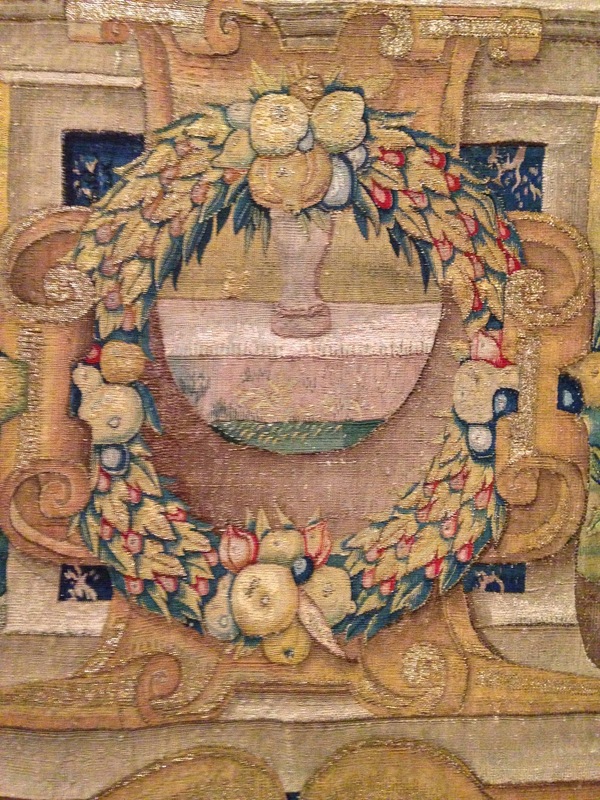 I am thrilled to announce that the board of the Decorative Furnishings Association (DFA) has elected me to serve as the next President of the organization! I am honored to have the opportunity to offer my leadership skills to this esteemed group of design professionals. Editor at Large interviewed me for their Article announcing the news. Check out the transcript below! What are your goals as president? What do you plan to do differently, and what will continue as is? My goal as DFA president is simple: to continue the mission of growing and sustaining the professional interior design industry. However, our strategy to accomplish this will change a bit as we evolve into a widely inclusive voice of the industry: the marketplace, the media and the design community, all uniting to speak to consumers about how their lives can be enhanced by design. We will shift our primary focus from industry education to consumer outreach. We will continue to educate trade vendors on best practices, but we also will be leading an industry-wide effort to galvanize the perception of professional design in the eyes of consumers who can afford these services but choose not to because of various misconceptions about the industry. Additionally, we will have an increased focus on trade organization partnerships. There are so many passionate groups who all have the same goal. I want to make sure the DFA’s approach is unique, so that we can better coordinate our resources with others to cover more ground. As a millennial, how is your perception of the industry unique? How will digital strategies be a part of your plan? I was fortunate to have grown up in a professionally designed home, so I’ve always understood how beautiful and functional design can positively impact one’s life. However, many of my peers were not as lucky. I find myself in many conversations trying to convince these peers who can now afford design services that they should hire a designer, but I’m met with skepticism and doubt because millennials perceive interior design as unattainable, too expensive, and as a mysterious and laborious process. Most services in today’s world are very straightforward—they are transparent about pricing and easy to understand. Professional interior designers all have different pricing models, and the industry was built on exclusivity. This approach and diversity is now hurting the outsider’s industry perception, because millennials think secrecy is not trustworthy. The negative perception is perpetuated by a lack of clear and consistent communication about the value of design through the content channels millennials consume daily, which is why digital strategies will be a major focus of the DFA’s efforts moving forward. What are the greatest assets of the DFA? The DFA members are our strongest assets. We represent a knowledge and experience base that is as high or higher than any other trade organization in the industry. Additionally, because all of the members are principals of their respective firms, we benefit from the expertise of the industry’s leading decision makers. Do you plan additional programs or outreach? Whom will you target? 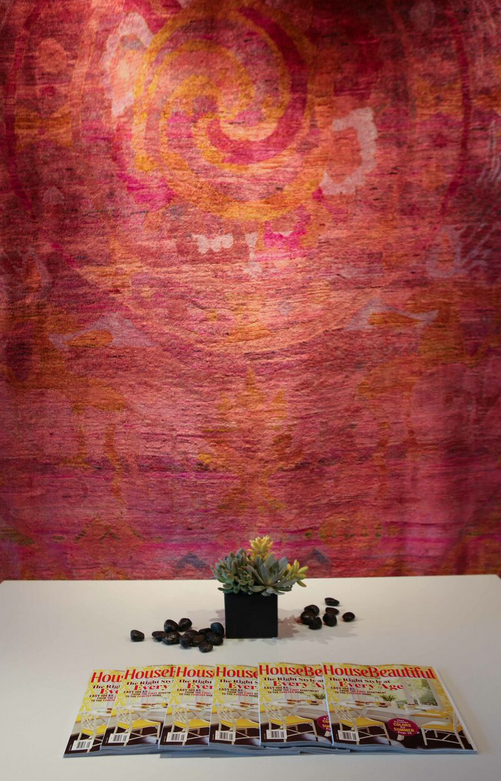 Our main focuses will be launching an industry-wide effort that unites all members of the trade—designers and vendors—with a unified message to increase the number of interior design projects by inspiring, informing and engaging consumers. The DFA will be backing an online resource center and advertising campaign—similar to the dairy industry’s “Got milk?” campaign—for the interior design community to promote the use of interior designers. We will be targeting consumers who have the means to afford these services but don’t engage them for any number of reasons. This initiative will have a digital-first approach, and we will be exploring different fund-raising platforms, likeKickstarter, to crowdsource support. To stay in the loop with our efforts, please enter your e-mail address here. 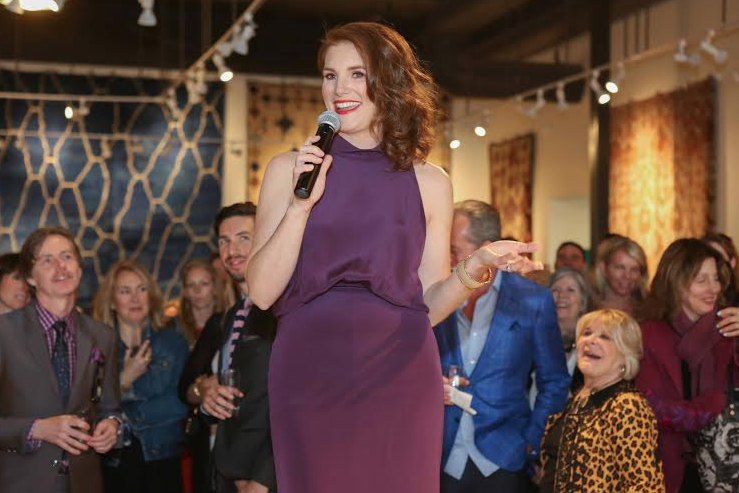 On November 17th, my family hosted a party at our D&D Building showroom to mark the publication of our new book, Decorating with Carpets: The STARK Tradition. We toasted the new book with guests Iris Apfel, Michael Boodro, Robert Rufino, Cynthia Frank, Orli Ben-Dor, Kate Kelly Smith, Katie Brockman, Jim Aman and John Meeks, Juan Montoya, Kevin Lichten, Alex Papachristidis, David Duncan, Ellie Cullman, Geoffrey Bradfield, Roric Tobin, Noel Jeffrey, Trisha Reger, Barry Goralnick, Alyssa Kapito, Vivian Muller, Sherrill Canet, Alberto Villalobos, Mercedes Desio, Joshua Greene, Richard McGeehan, Michael Simon, Charles Pavarini, Kendell Cronstrom, and Amy Vermillion. Check out the full article on The Editor at Large. I’m delighted and honored to have been invited by the Decorative Furnishing Association to join their organization as a board member! This organization truly gets what we need to do in the luxury furnishing business and I’m excited to contribute in any way that I can. See below for the announcement from their website about this exciting news! The DFA is excited to announce that Chad Stark has joined the DFA Board of Directors. 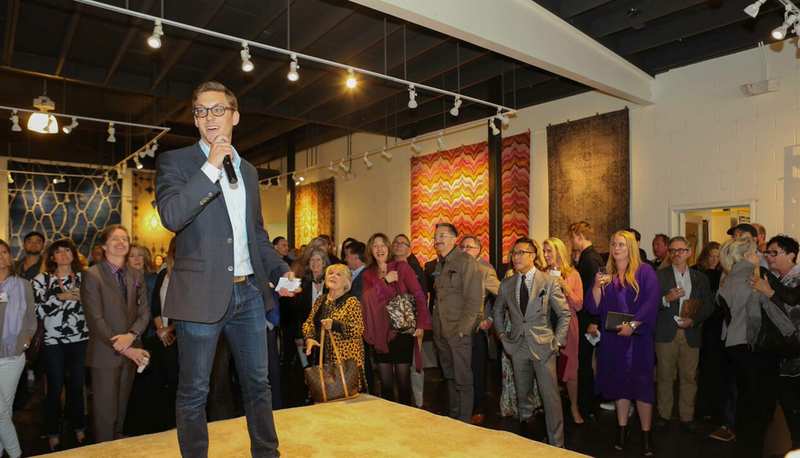 Chad is the Senior Vice President of Stark Carpet & Fabric, a leader in the interior design industry. Chad’s fresh approach to issues in the design industry and his take on the value of design make him a valuable addition to the DFA board. I was on a panel last week at the Boston Design Center discussing how to appeal to different design markets, including the younger generation of interior designers as well as design enthusiasts around the world. Simply put, it was AWESOME! This is the second event where I’ve spoken to a large group on a similar topic – the first was at the Luxury Retail Summit a couple years ago. 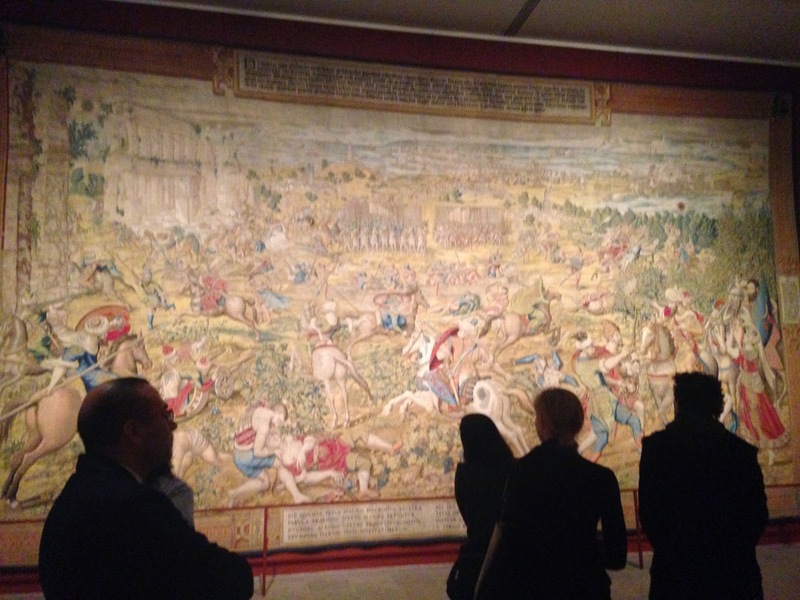 Below is an article posted from Editor At Large summarizing the event. Enjoy! 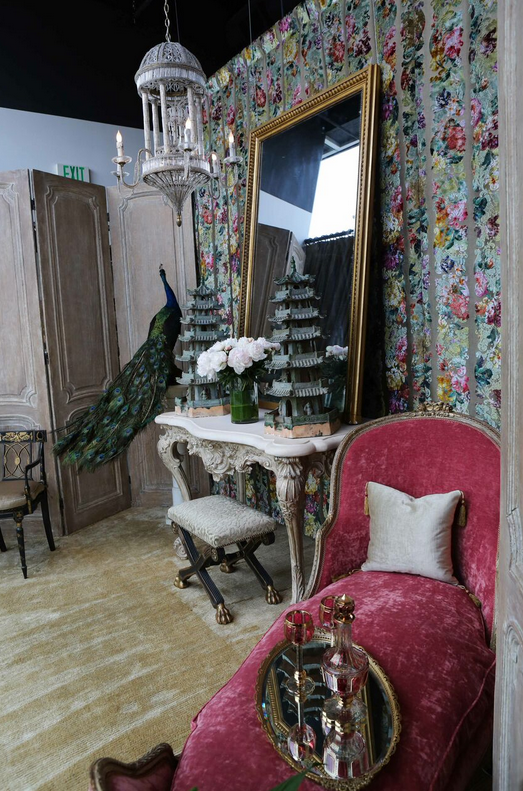 How can the Decorative Furnishings Association (DFA) and the American Society of Interior Designers (ASID) better collaborate on promoting interior design? 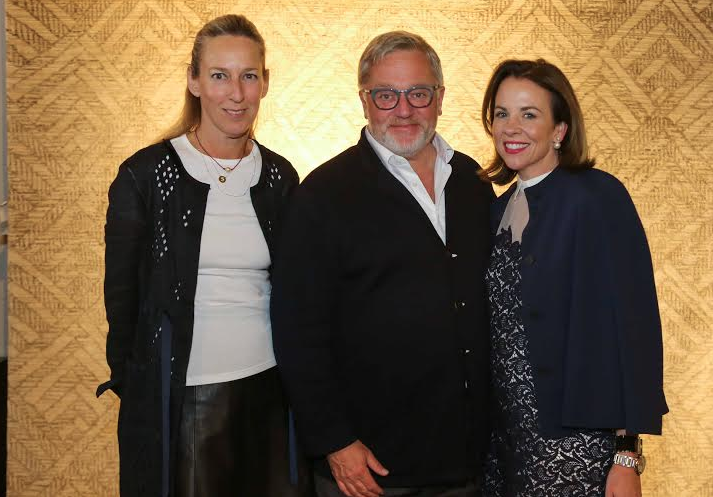 The two organizations met on July 16 at the Boston Design Center in their second-ever industry summit to discuss just that, with a focus on how to promote the value of the interior design trade to luxury customers and to a younger, DIY-conscious generation. 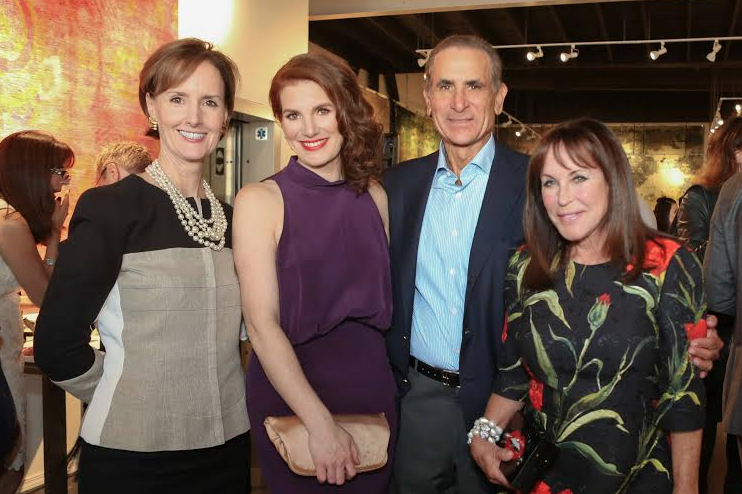 Representatives from Fabricut, Dering Hall, Donghia, Jerry Pair, Duralee,Robert Allen, Stark, Kravet and design centers, in addition to members of the media at Hearst, Cottages & Gardens and Meredith, attended the daylong program. Small group sessions brought designers, media and furnishings leaders together. Collaborative small group sessions followed, with designers, furnishing company execs and media pros answering a series of questions about the state of the industry, ways to improve outreach, and current challenges, among them the Internet’s impact on pricing and the client’s desire for instant gratification and lack of education as to the value of professional design. Groups identified cross-marketing (such as targeting customers of the fashion and luxury vacation industries); launching an internal campaign to promote the value of design to the end user; pushing showrooms to take the lead on education and networking, such as through “speed-dating” mixers hosted in-house; and running regional outreach in areas not serviced by major designers, as a few key strategies. Craig Cross, who was appointed DFA’s director of public relations and community outreach earlier this year, delivered an overview of the DFA’s marketing initiatives, and DFA members were introduced to the organization’s recently revamped site, to be launched later this month. The afternoon concluded with a branding talk presented by Susan Battista, a strategist with Visual Dialogue Boston, who discussed five particularly adaptable industries and their top players. Strange shapes for furniture can look strange in an older home. Go for furniture with clean lines. Too much plastic can look out of place as well, so try to stick with modern furniture that is made with traditional materials. For example, a modern sofa that sets low to the floor can add modern style without going over the top. Lounge chairs can be a very comfortable modern alternative to an old-fashioned recliner chair. Modern fabric designs can complement a period home. You might want to avoid exceptionally bright colors though. Muted tones are a more tasteful option that can help modern patterns fit right into your beautiful older home. If you have some classic old furniture that you can’t part with, consider reupholstering it with a more modern fabric. Getting sample swatches and comparing them against the background of the room the chair is to go in can help ensure you are happy with the final fabric. Wallpaper can make a house look stuck in the past, not to mention that at a certain age it can appear dilapidated and unsightly. Try removing wallpaper and replacing it with a wall painted in a neutral tone. On this new background you can add artwork or decorations that add a modern look to your home. Think of this as your blank canvas that you can change the look of whenever you want to change the décor that hangs on it. 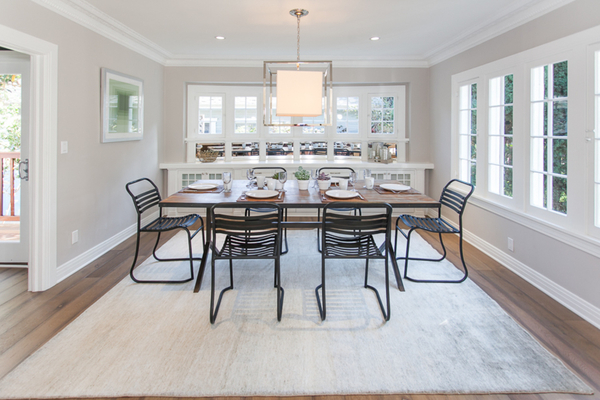 Modern rugs can do a lot to modernize a period home. The great thing is that you can change designs and colors as often as you want. Rugs offer a quick update as well. 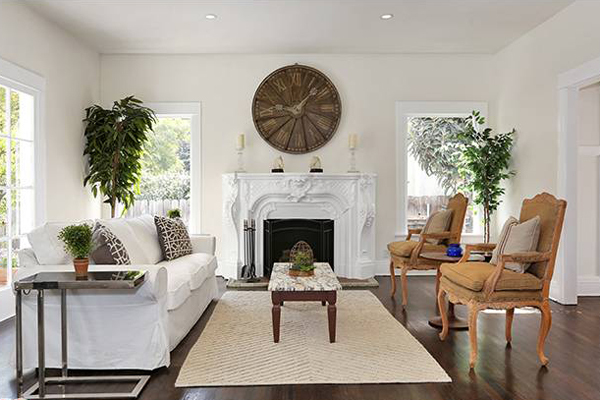 With many older homes having wood floors, a rug can add warmth and comfort as well. Don’t be afraid to try out a great new pattern. Many people are inspired by current runway fashion trends when adding texture and color to their home. Many rooms were made smaller in period homes. You can make a small space appear larger with tastefully chosen art work and furniture. Larger pieces of art on a wall and larger furniture can update a room and make it appear larger than it is. It is all about balance. Have small art prints framed in larger frames to make ceilings appear taller. Just be sure not to try to cram too much into a small room. When modernizing a home it can be easy to get caught up in the moment, with the end result being rooms that are too full of furnishings from many eras. Remember that your home will look better with furnishings that have a modern touch but don’t look out of place. If you have furnishings from five different decades you risk having a room that looks more like a yard sale than updated. Run, don’t walk. 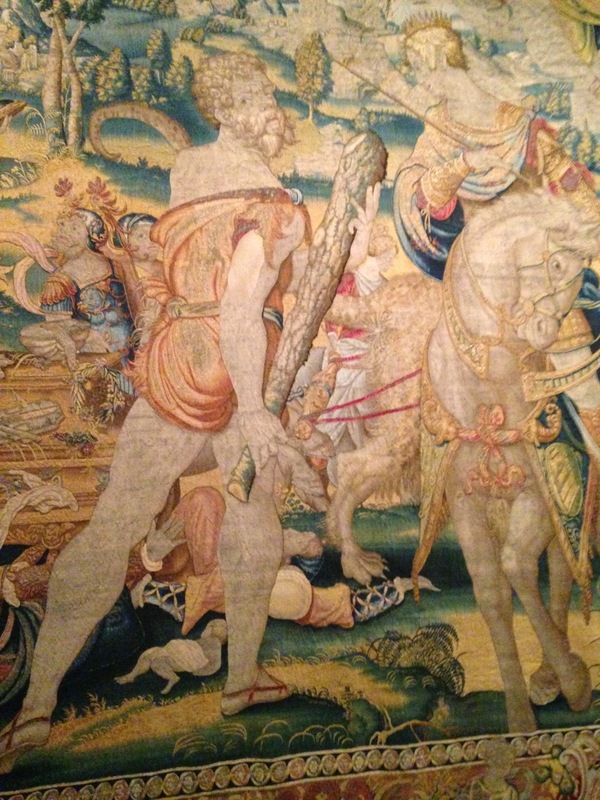 over to “Grand Design: Pieter Coecke van Aelst and Renaissance Tapestry” at The Metropolitan Museum of Art, an exhibit paying homage to a talented tapestry artist. 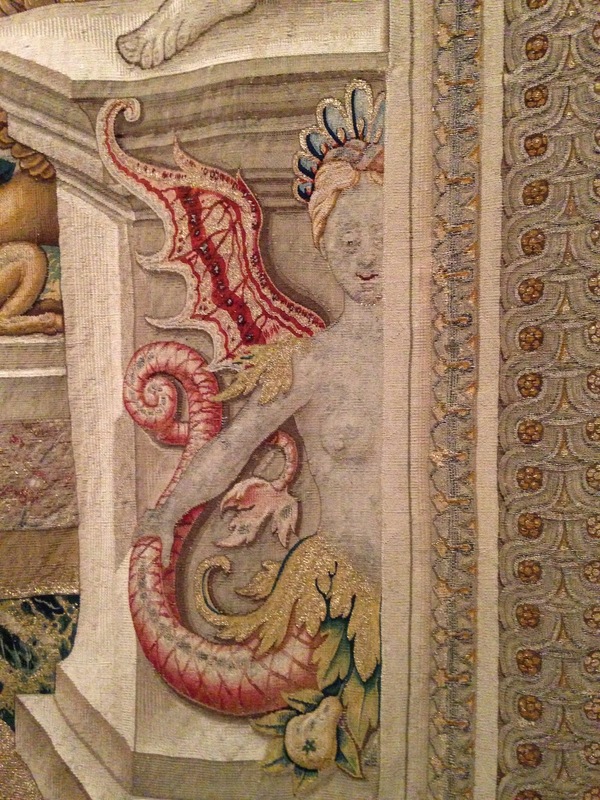 Museums make me happy, and it feels special to walk the halls taking in all that history together in one place. 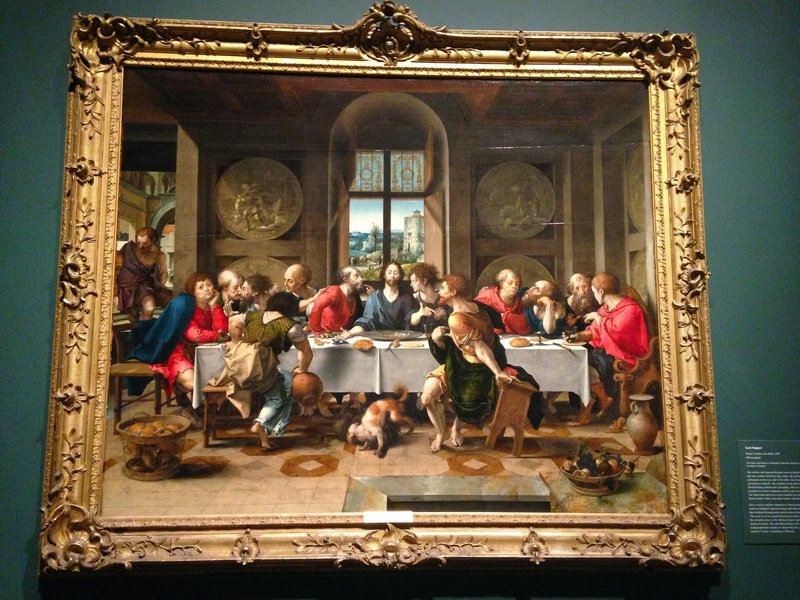 Today, I’m giving thanks to interior designer Jamie Drake, Parsons School of Design and Stark for inviting me to be part of a small, private tour to learn about the works of 16th Century Renaissance artist Pieter Coecke van Aelst. 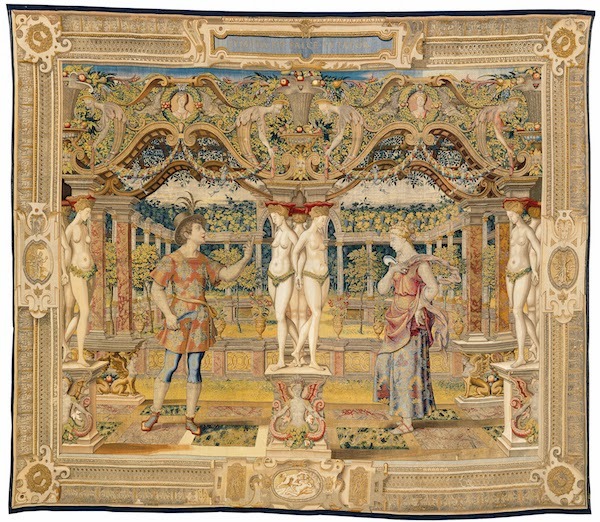 The show is a collection of the artist’s elaborate tapestries made over the course of his career in the Netherlands. These kind of unique shows tell the stories of our past, and the art helps us to connect the dots about lifestyles during that time when other documentation may not be available. We were fortunate to have the complete attention of museum curator Elizabeth Cleland who lead us on a detailed and mesmerizing tour. 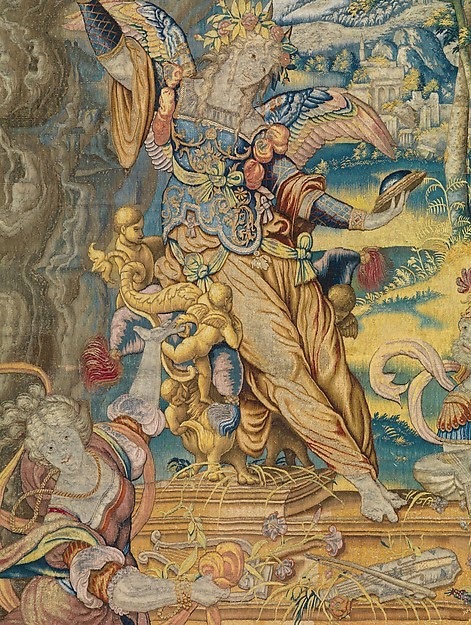 Cleland meticulously comprised this artist’s lifetime collections from all over the world and showcases the majestic works throughout the Tisch Galleries on the 2nd floor of the museum. Since this particular artist is relatively unknown there was much work to bring the exhibit together. 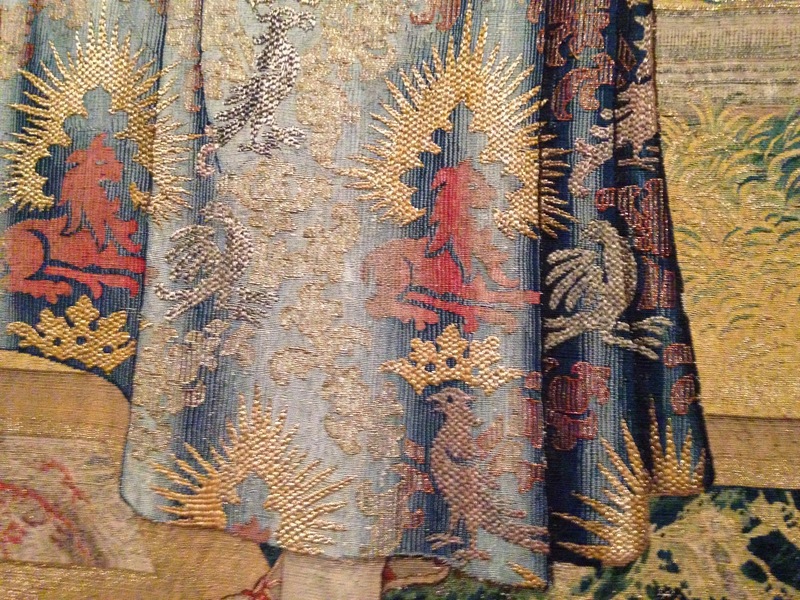 The show marks the first single tapestry artist exhibit at the MET. 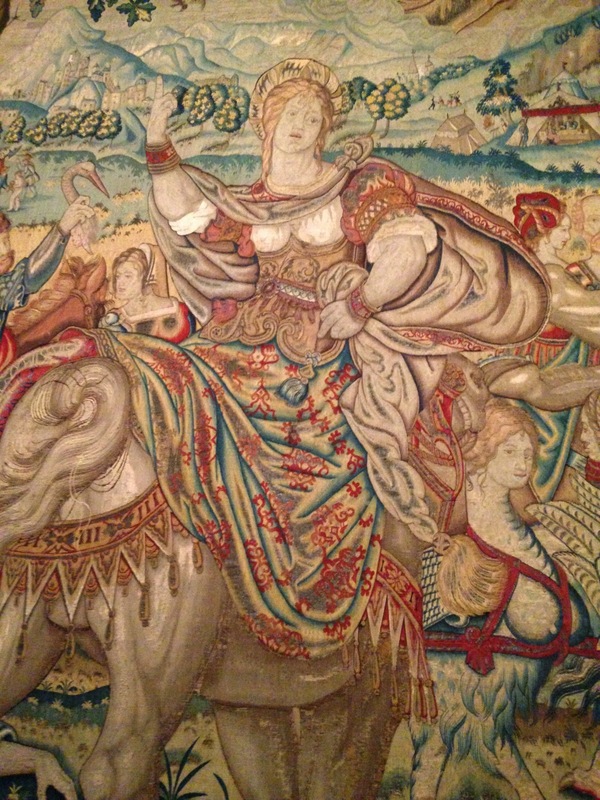 To see these works of art preserved and altogether in one expansive hall is awe inspiring. 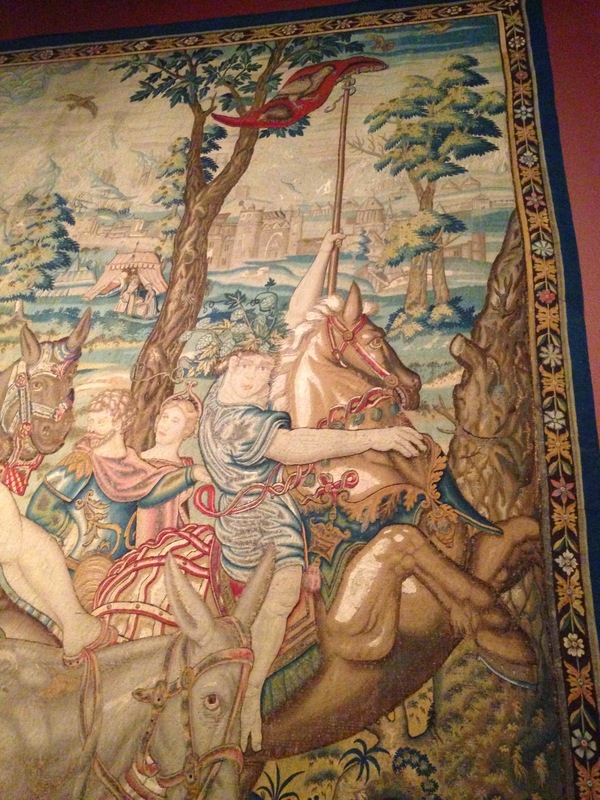 I enjoyed hearing the stories of the labor and detailing that went into creating them as well. 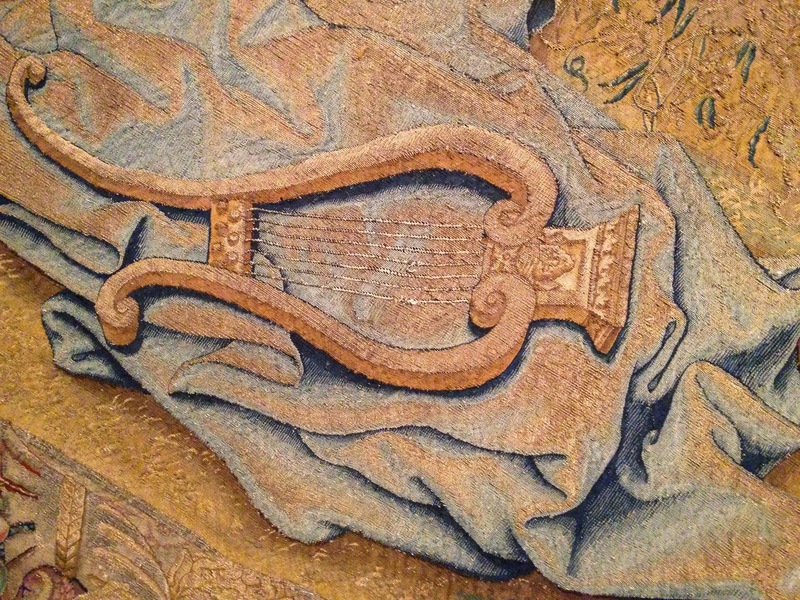 Since the artist was first a painter it was valuable to see many of his paintings side by side with his tapestries, and the similar painterly qualities of the characters on his canvas were recreated on the tapestries with impressive artistry — this is no small feat. 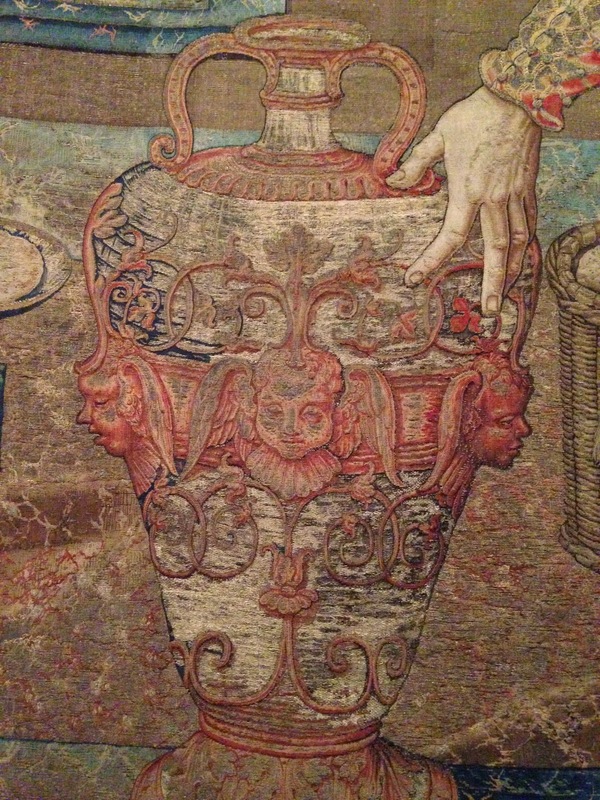 Seeing many of these works completely intact and kept in pristine condition was equally impressive. 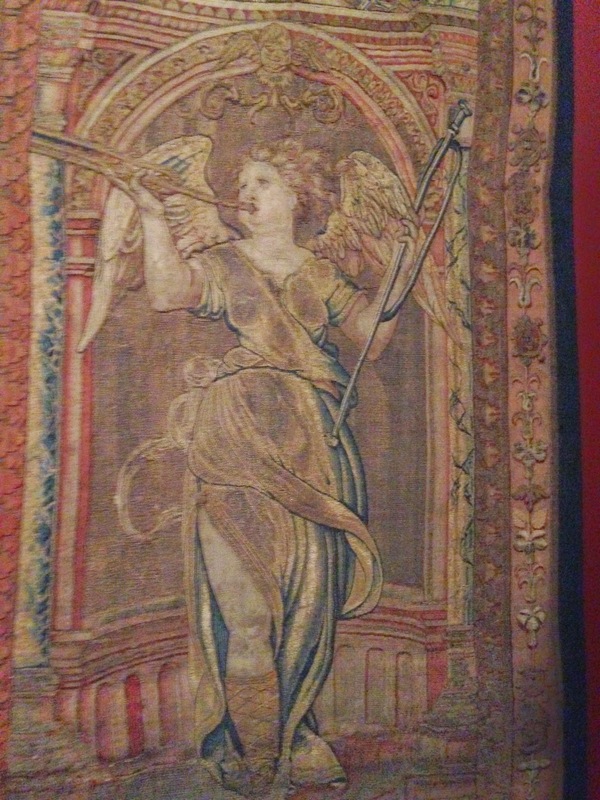 The tapestries were created with wool, silk and gold and silver-metal wrapped thread, and created only after the artist made life size “cartoons” which were drawings and gouache and done in the finest details. 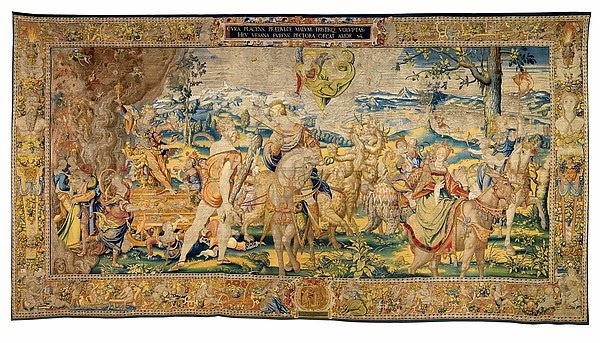 It is difficult to choose just one tapestry as my favorite, but if I had to pick one, I’d head over the gallery hall showcasing the 7 deadly sins (each sin has a dedicated tapestry boasting the enticing qualities of that particular sin). I must admit Lust stopped me in my tracks! 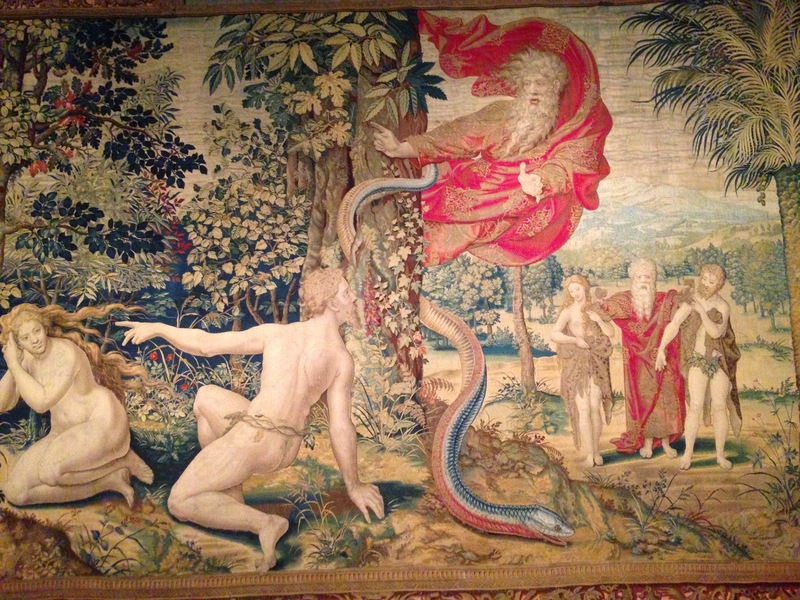 My second favorite is the beautiful and lush depiction of the story of Vertumnus and Pomona. 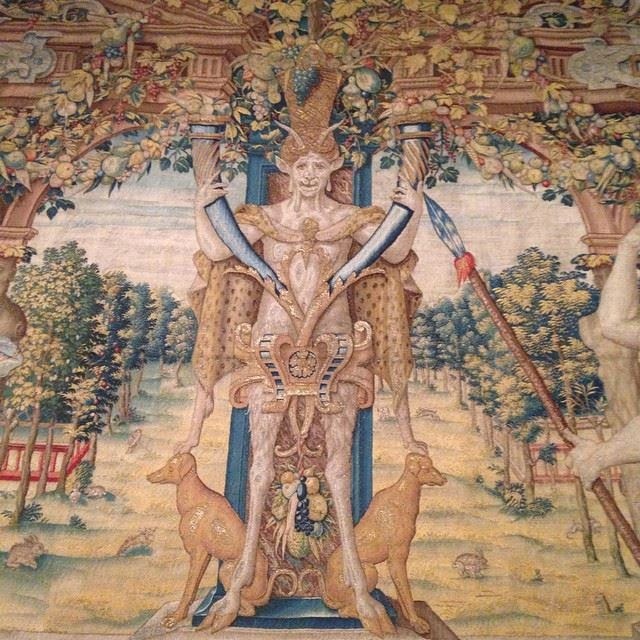 The gentleman’s pose, hat and the fabric drew us in, but the incredible detailing and foliage on the top of the tapestry made me wish there was a ladder available for closer inspection. The Symposium Internationally renowned scholars and curators present recent scholarship in themed sessions during this two-day event held at The Metropolitan Museum of Art and Parsons The New School for Design. Seating is available on a first-come, first-served basis, but is Free and open to the public. For more information read here.